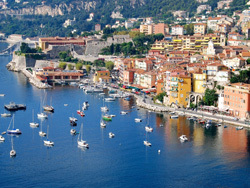 Applications are being accepted for the Third IOCCG Summer Lecture Series, which will take place in Villefranche-sur-Mer, France from 18 – 30 July 2016. This course is dedicated to high-level training in the fundamentals of ocean optics, bio-optics and ocean colour remote sensing and will include lectures by specialists, practical sessions and discussion sessions with distinguished research scientists. For further information and how to apply see SLS 2016. The deadline for applications is 15 March 2016 (strictly enforced)! The dates for the third International Ocean Colour Science (IOCS) meeting have been confirmed: the meeting will take place from 15 to 19 May 2017 in Lisbon, Portugal and will be convened by the IOCCG together with EUMETSAT and ESA. The goal of these biennial IOCS meetings is to build a strong global user community for ocean colour science and applications, and to foster exchange between the research community and international space agencies. The format of the meeting will include presentations from the space agencies, invited keynote talks, breakout splinter sessions, poster sessions, the NASA Ocean Color Research Team meeting, workshops and panel discussions. The meeting website will be updated periodically as planning progresses, so please bookmark this site. The launch of Sentinel-3A is planned at 18:57 CET on 16th February 2016 on a Rockot launch vehicle from the Plesetsk Cosmodrome, Russia. Updates and details can be found here. Please consult blogs.esa.int/eolaunches/ for the latest information regarding launch coverage via ESA WebTV. Details of data access and information about the mission can be found on the ESA Sentinel-3 website and the EUMETSAT Sentinel-3 website. 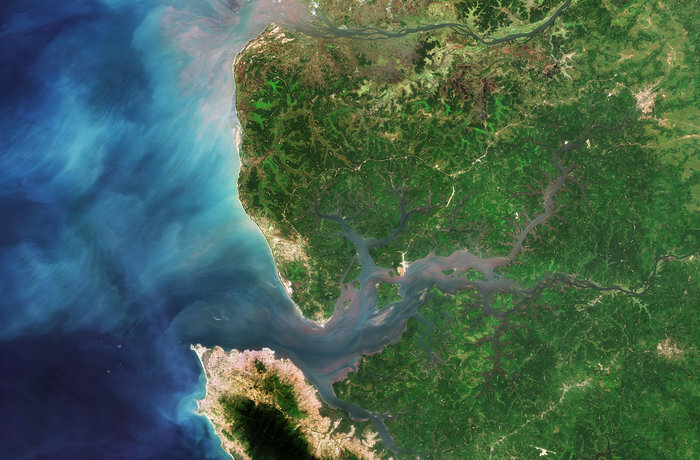 Sierra Leone river estuary captured by the Sentinel-2A satellite on 11 December 2015 (click to read full article on ESA website). The Sentinel-2A In Orbit Commissioning Review (IOCR) was successfully held on 15 October 2015 and the mission is now preparing for full operations. The Sentinel-2B platform is fully integrated and tests are on-going. Details of data access and information about the mission can be found at sentinel.esa.int. Version 2.0 of the Sentinel Application Platform, SNAP, has been released and is now available for download at: step.esa.int. SNAP provides a common architecture for all of the Sentinel Toolboxes and is used for the processing and analysis of Earth observation data from the Sentinel missions as well as other ESA missions and a range of third party missions. 10 Month Training Course at the Alfred Wegener Institute: The Nippon Foundation and POGO (Partnership for Observation of the Global Oceans) are offering a 10-month training course for students from developing countries in a Centre of Excellence in Observational Oceanography at the Alfred Wegener Institute, Germany. This course will run from October 2016 to August 2017. NASA’s SeaDAS development team recently announced the release of SeaDAS 7.3, which is built atop a slightly modified BEAM 5.0.1 version. The science processing code has been updated to reflect changes recently implemented in production, provide bug fixes and support for the R2014.0 reprocessing for SeaWiFS. See the NASA Ocean Color Web for further information. 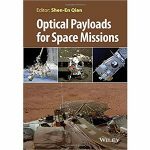 Optical Payloads for Space Missions , edited by S-E Qian, contains a collection of optical spacecraft payloads with contributions by leading international scientists and instrument builders. It covers various applications, including a comprehensive section on Earth observation, and provides information on the principles of the optical spacecraft payloads, the missions’ background, motivation and challenges, as well as the scientific returns, benefits and applications. Several new publications have been added to the IOCCG Recent References list including a paper by Russell and Dierssen (2015) entitled “Use of Hyperspectral Imagery to Assess Cryptic Color Matching in Sargassum Associated Crabs”. The authors found that two species of Sargassum crab match the reflectance of Sargassum algae in the blue and green wavelengths (400–550 nm) and diverged at longer wavelengths, with maximum discrepancy in the far-red (675 nm) where Chl-a absorption occurred in Sargassum and not in the crabs. Using a quantum-catch colour model incorporating optical properties of Sargasso Sea and coastal Florida waters, crabs had effective colour matching against blue/green sensitive fish, but were discernible to seabird predators that have a far-red sensitive visual cone. Sargassum crab (left) and reflectance of crab pattern elements and corresponding Sargassum features. (click to enlarge). In a paper by Lin et al. (2016) examining the fate of photons absorbed by phytoplankton in the global ocean, the authors calculate that, on average, ~60% of absorbed photons are converted to heat, only 35% are directed toward photochemical water splitting, and the rest are reemitted as fluorescence. The spatial pattern of fluorescence yields and lifetimes strongly suggests that photochemical energy conversion is physiologically limited by nutrients. In another new publication by Dörnhöfer and Oppelt (2016), the authors provide a comprehensive overview of how remote sensing can support lake research and monitoring. The authors focus on remote sensing indicators of lake properties, i.e., water transparency (SPM, CDOM, Secchi depth, diffuse attenuation, turbidity), biota (phytoplankton, cyanobacteria, aquatic vegetation), bathymetry, water temperature and ice phenology and provide a comprehensive review of available sensors and methods. Wells et al. 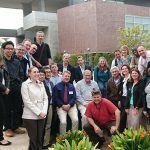 (2015) present a consensus of a recent workshop on harmful algal blooms (HABs) and climate change. They address environmental conditions that favour initiation and maintenance of HABs, and note that there is a critical absence of tenable hypotheses for how climate pressures mechanistically affect HAB species. Strain variability within species, their responses under multifactorial conditions, and the retrospective analyses of long-term plankton and cyst core data need to be addressed. Forecasting changes in HAB patterns over the next few decades will depend upon considering HABs within the competitive context of plankton communities, and linking these insights to ecosystem, oceanographic and climate models. Lastly, Harmel et al. (2016) carried out laboratory experiments for inter-comparison of three volume scattering function (VSF) meters (POLVSM, I-VSF, LISST-VSF) to measure angular scattering properties of phytoplankton cultures and mineral-like hydrosols. The protocols enabled the authors to remove the influence of bacteria on the hydrosols. The differences in the VSF measurements between the instruments varied from 10 to 25% depending on the composition of the hydrosols. A sharp increase of the VSF beyond the scattering angle of 150o was observed for some phytoplankton species – likely due to phytoplankton optical properties. Comparisons with modelled phase functions show that the models are not able to reproduce the directional patterns in the backscattering region. Tabulated values of the measured phase functions are provided for scattering angles from 0.1 to 175o. Several new employment positions have been posted on the IOCCG website including a Contract Researcher at the Royal Belgian Institute for Natural Sciences (Belgium), a PhD Fellowship in marine optics in Wimereux (France), a Research Oceanographer at NASA Goddard Space Flight Center, two Lecturer positions at the University of Exeter (UK), a Postdoctoral Fellowship in Tasmania (Australia) and a Scientific Programmer/Analyst at NASA Goddard Space Flight Center (USA). See our Employment Opportunities page for further details.